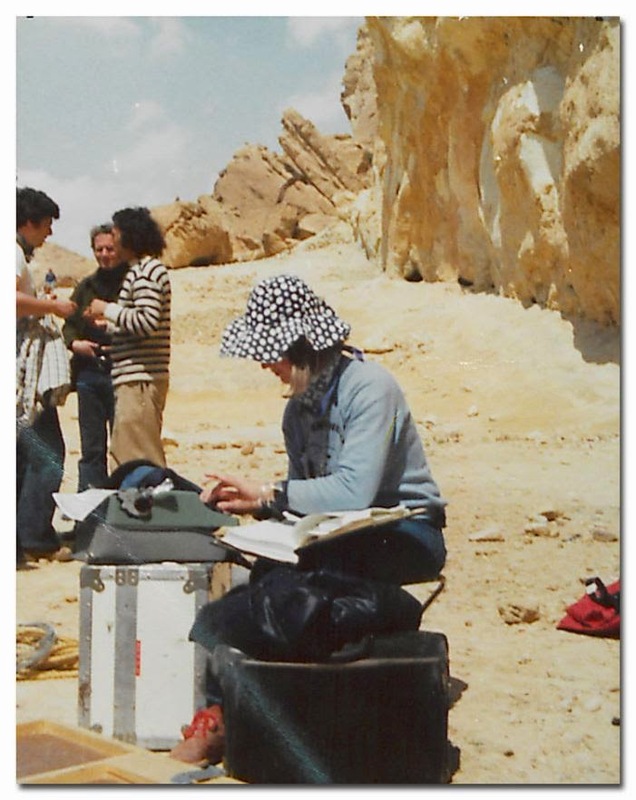 The photographer herself, Ann Skinner, working on the film's set. 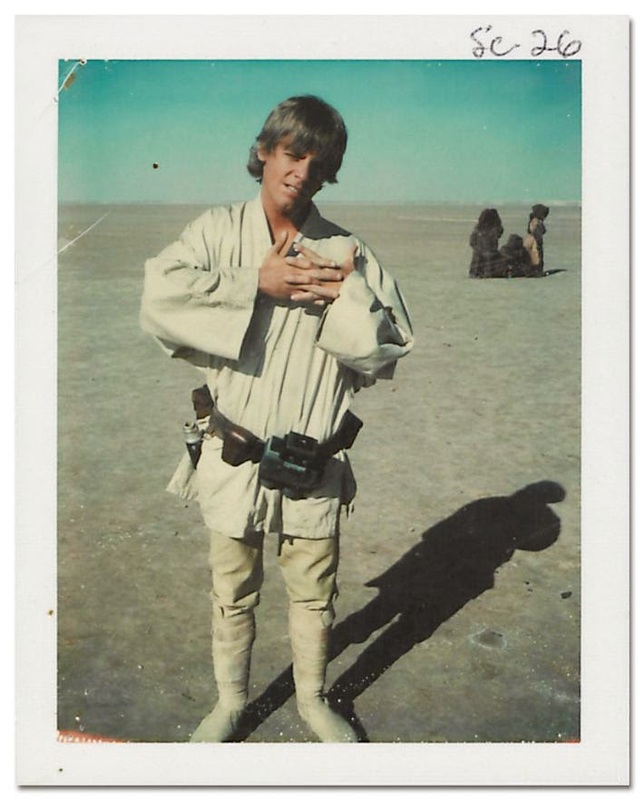 The local mechanic is better known to his Tatooine pals as "Fixer." 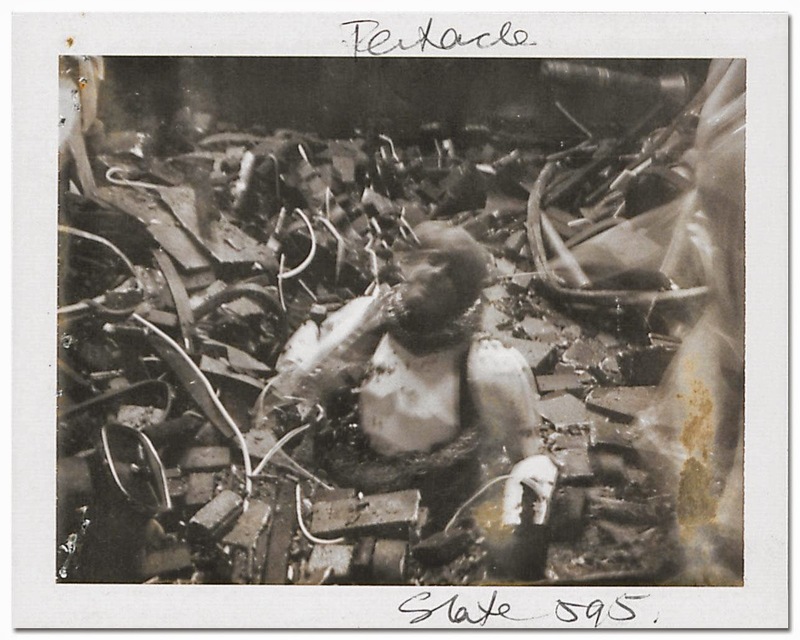 Scenes showing the group in Luke's favorite hangout, Tosche Station, were cut from the film, but can be see in the latest Blu-ray edition of the first 'Star Wars' trilogy. 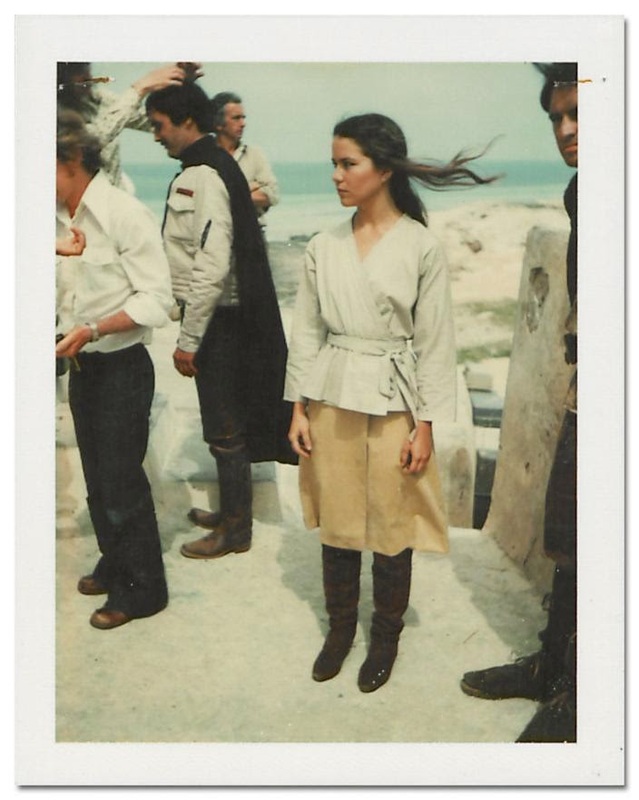 The actress played Camie, one of Luke's friends and Fixer's wife, who was also in the deleted scene at Tosche Station. 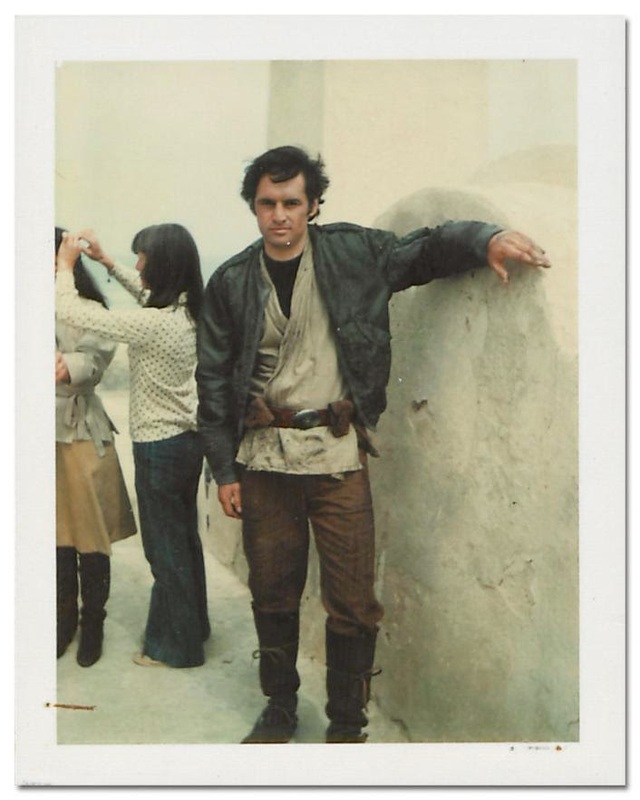 The character who Luke wants to follow to the "Academy" can be seen later in the film — they're reunited on the rebel base at Yavin. 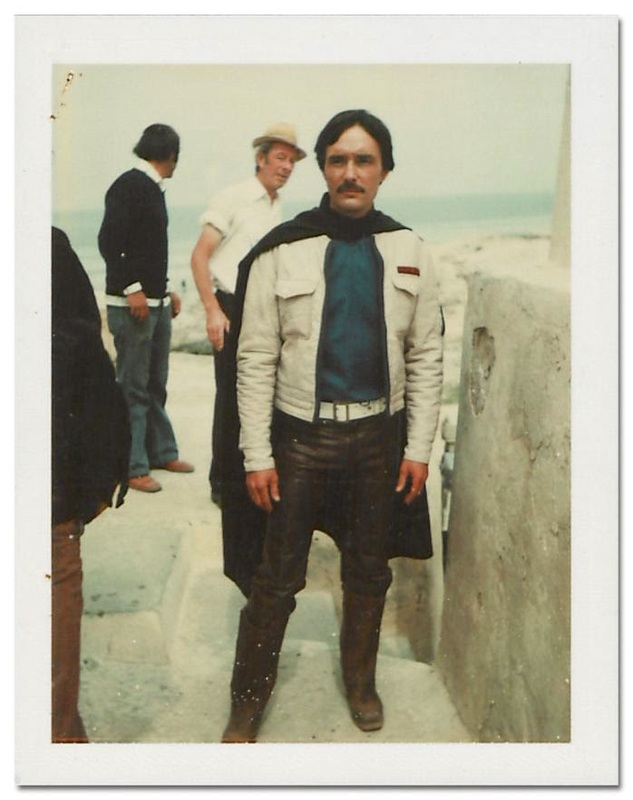 Unfortunately, Biggs ends up as another casualty in the war against the Empire. 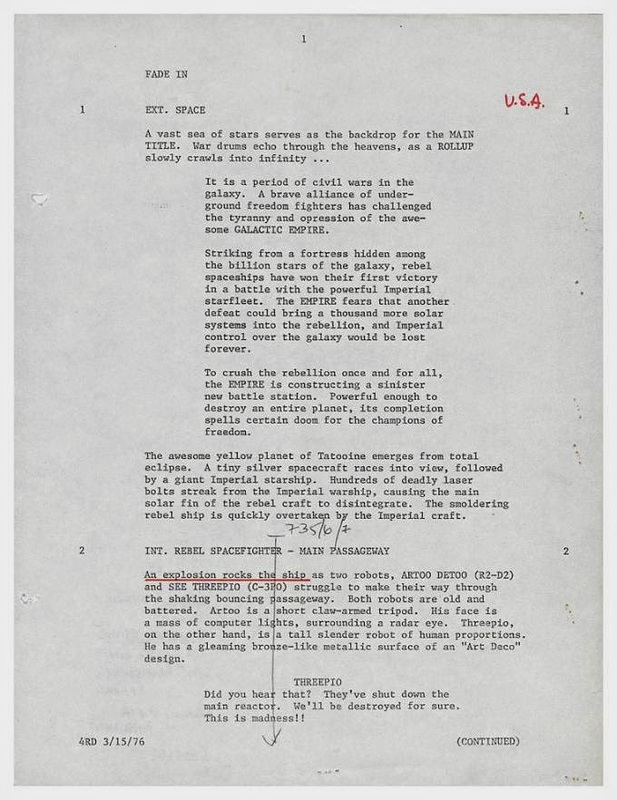 This page from a 1976 draft of the script shows an early version of the movie's opening crawl. 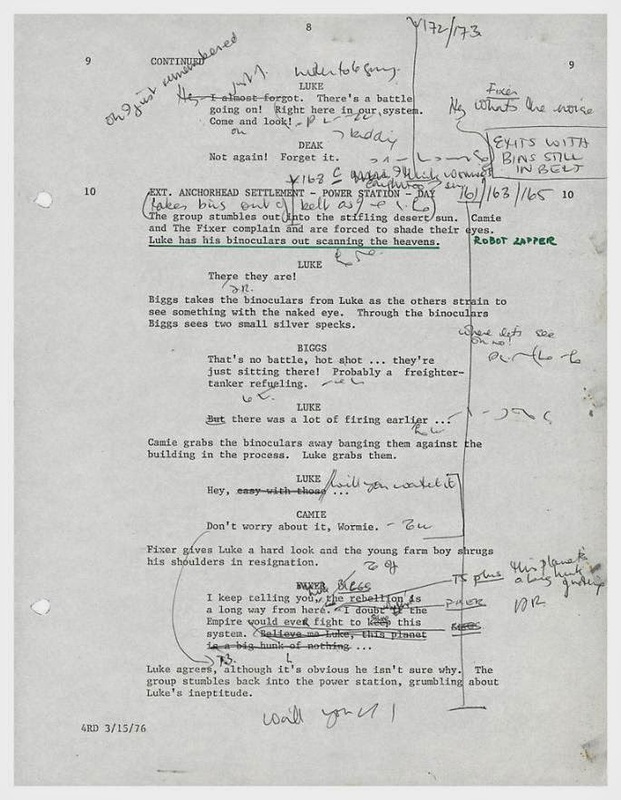 Director Brian De Palma reportedly helped his friend George Lucas trim it down. 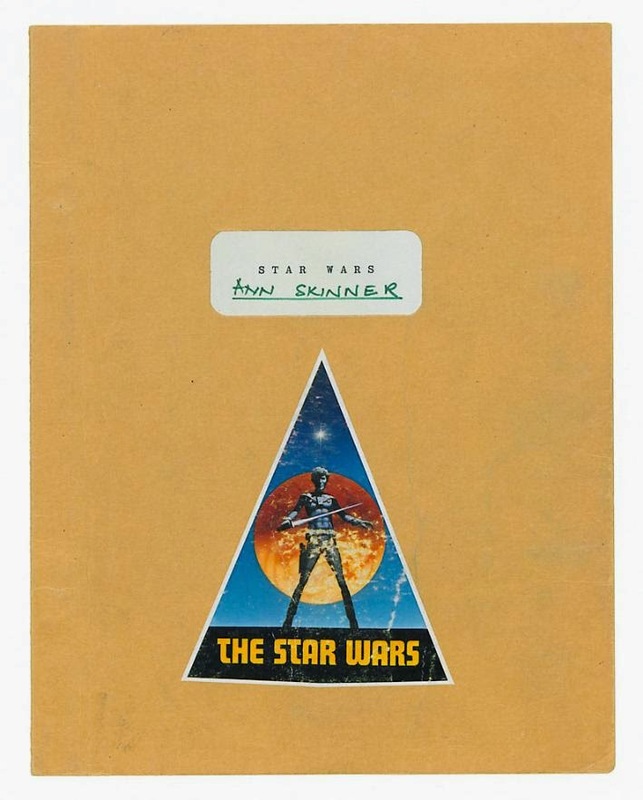 Note in the scene that introduces Luke to audiences, his last name is Starkiller. 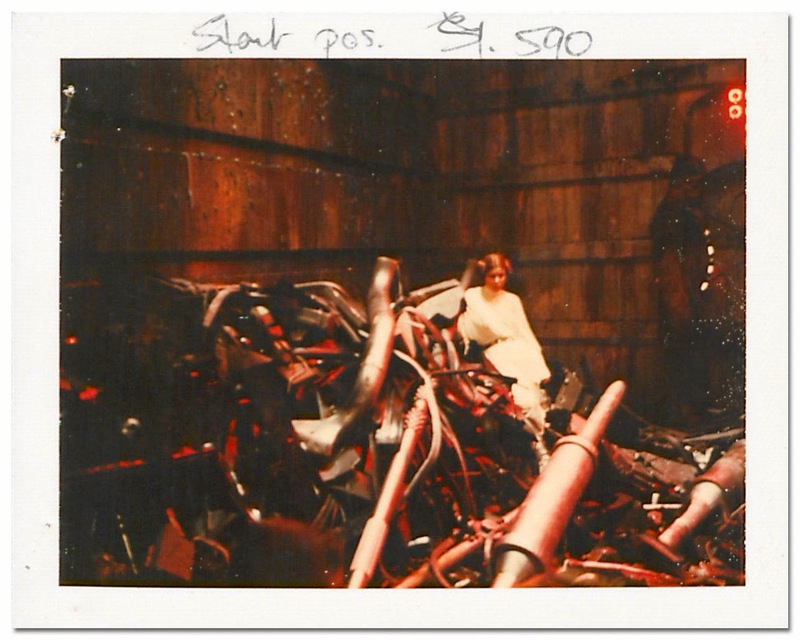 Also interesting: the scene with Threepio (C-3PO) "entangled in the mass of dangling wires" and berating Artoo (R2-D2), was moved to middle of the movie, during the TIE fighter attack on the Millennium Falcon. 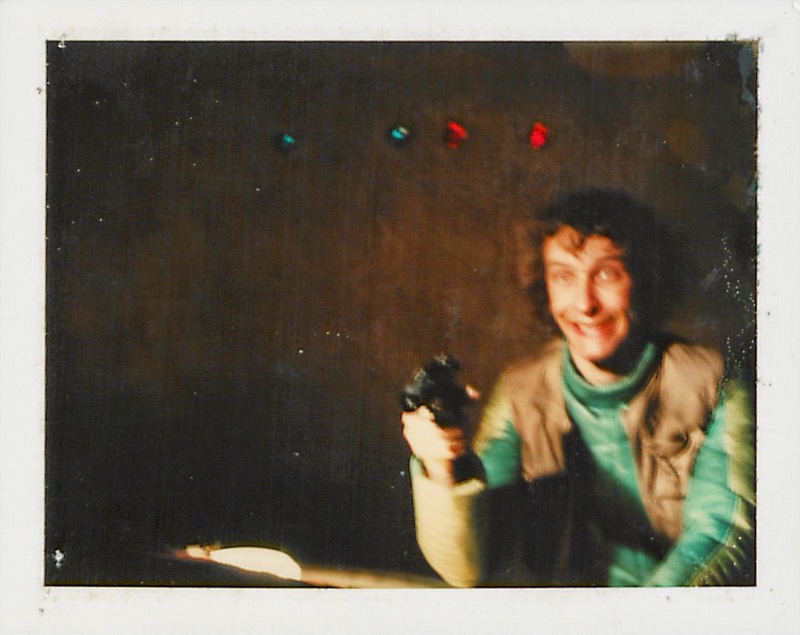 A scene that shows Luke and his friends rushing out of Tosche Station to witness a space battle taking place high above them — in fact, the Princess Leia's blockade runner being overtaken and boarded by the Star Destroyer carrying Darth Vader. 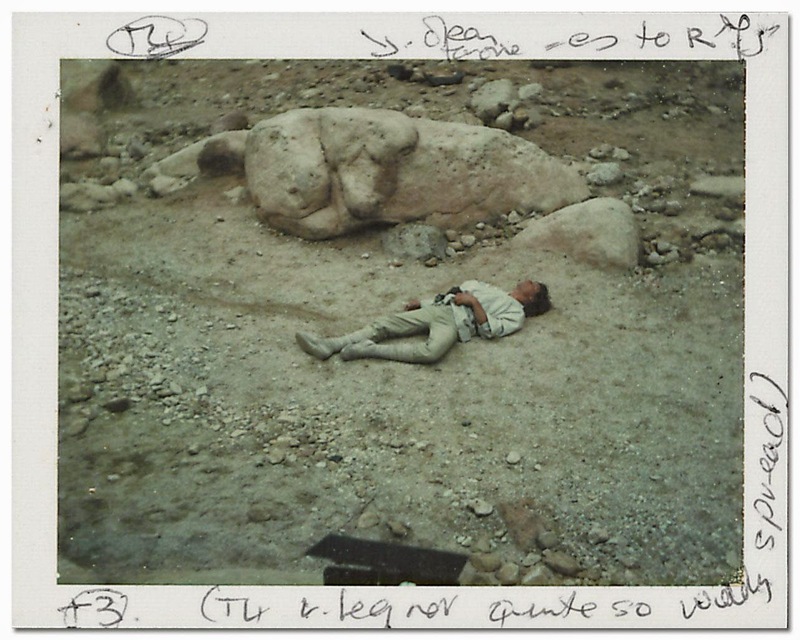 Hamill lying prone during the Tusken Raider (a.k.a the sand people) attack scene. 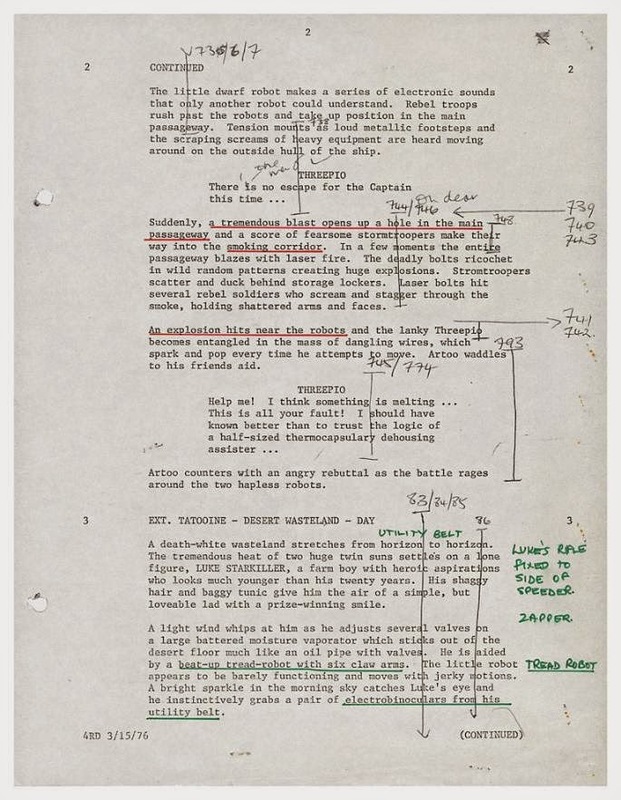 Notice Skinner's notes about the position of Hamill's legs to make sure they maintained consistency across the takes. 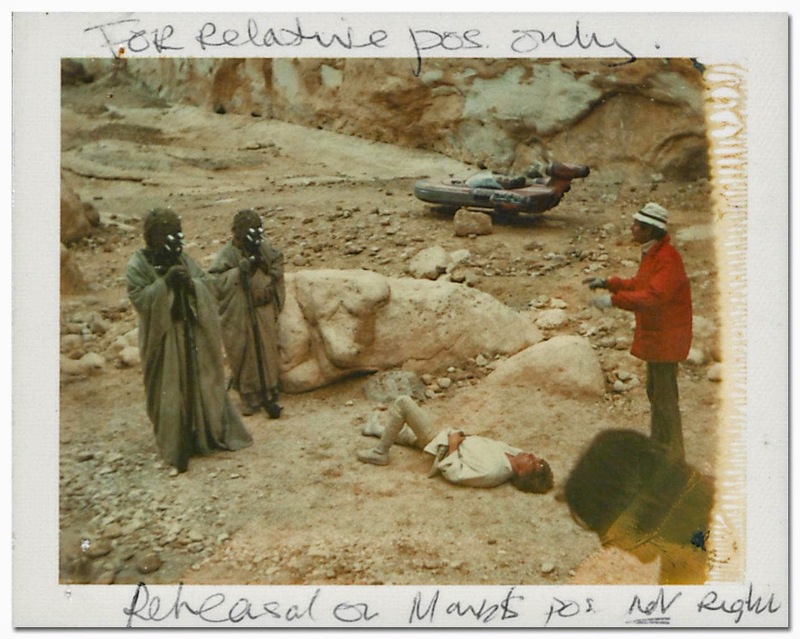 Another view of the Tusken Raiders with Luke's speeder in the background. 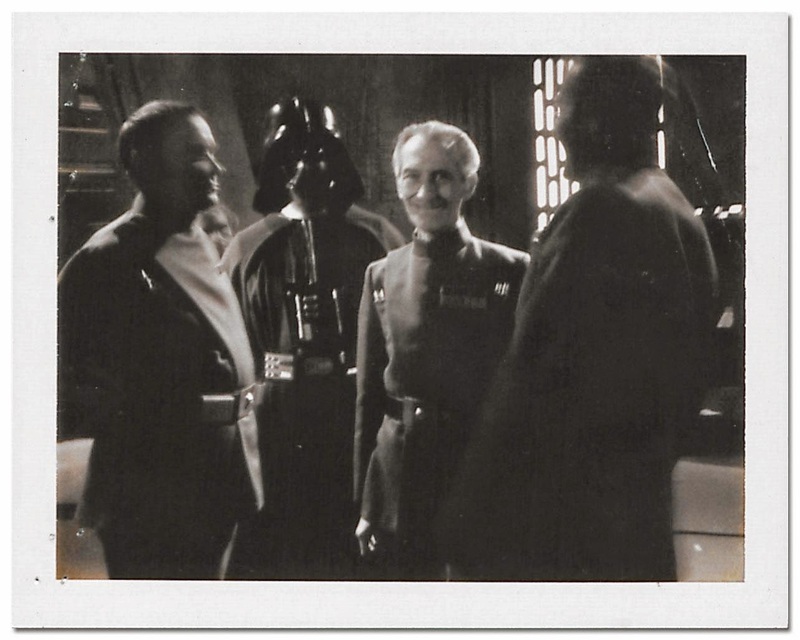 Cushing, who played the grim Imperial governor, breaks into a smile for the camera. Hopefully Darth Vader didn't notice. 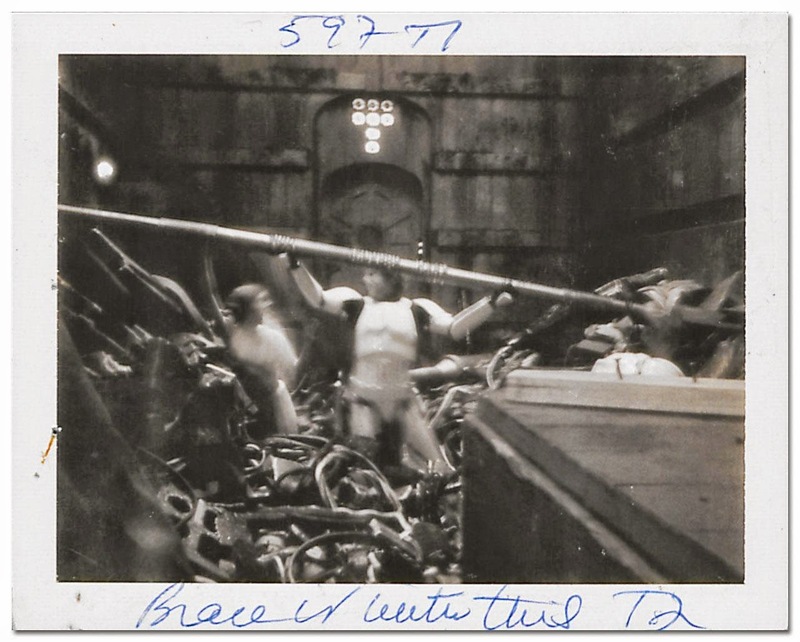 Fisher is perched on the massive garbage pile during filming of the trash compactor scene. 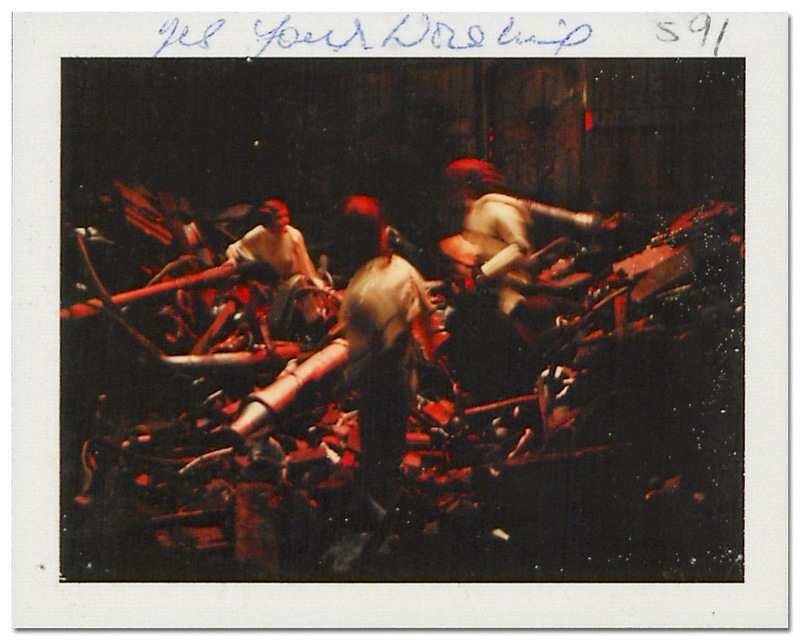 Princess Leia, Luke Skywalker, and Han Solo in the compactor. Princess Leia and Han Solo as the trash compactor starts closing in on them. 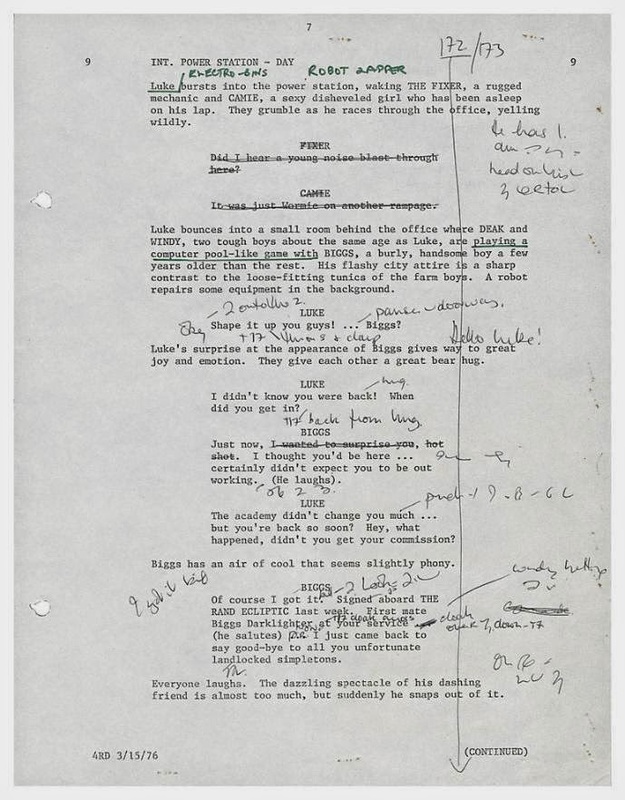 Skinner's note "Brace it with this" referred to Leia's eventual dialgoue in the scene. Luke gets attacked by the dianoga. 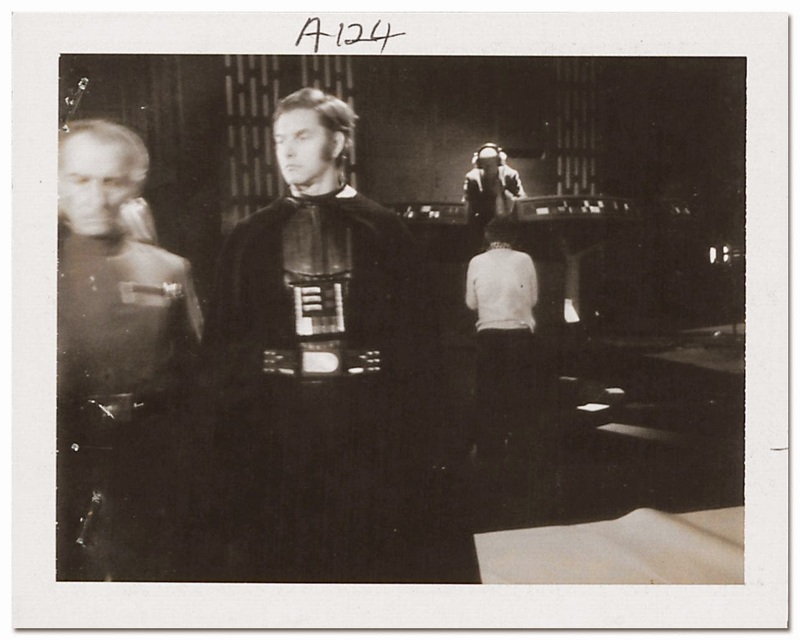 Skinner's ominous note: "Tentacle"
Prowse, who played the fearsome Darth Vader, removes his black helmet for awhile. 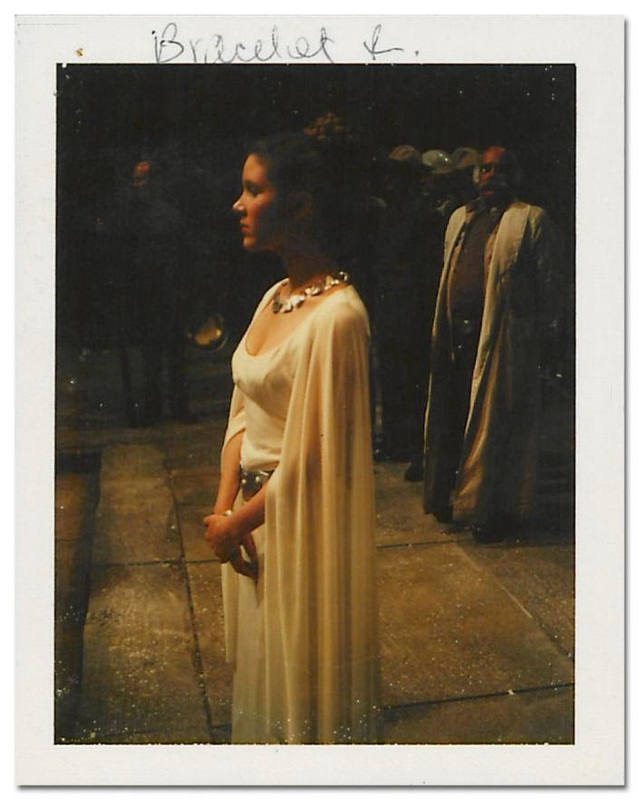 Skinner had to make sure that the Leia's bracelet stayed on the correct arm for the medal ceremony at the end of the movie.